In response to legislation adopted in 2011, the Supreme Court of Texas has issued new rules governing civil cases filed in justice courts. These new rules go into effect on August 31, 2012, and will govern the filing, pre-trial procedures, trial, and appeal of all civil cases filed in a justice court. 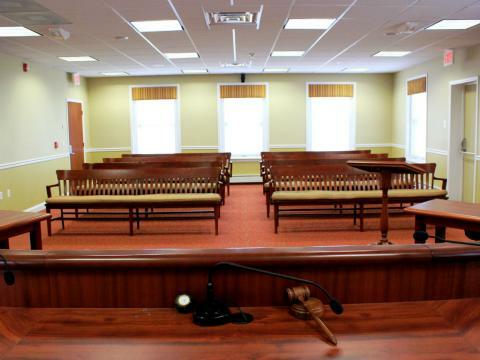 Historically, cases in justice courts were divided into small claims and justice court cases. Small claim cases typically involved civil disputes of $10,000.00 or less. However, these same cases could also be heard as a justice court case. The Texas Rules of Evidence applied to justice court cases, but not to small claims cases. Certain types of civil disputes can only be initiated in justice courts, such as evictions, tenant lockouts, and the disconnection of residential tenant’s utilities by a landlord. To some extent, the new rules simplify practice in justice courts. Under the current rules, multiple and seemingly conflicting statutes could apply, while certain procedural topics are loosely addressed. Texas Rules of Civil Procedure 523-591 set forth the general rules 737-755 deal with particular cases such as evictions and enforcing a landlord’s duty to repair or remedy residential rental property. Starting August 31st, these rules will be repealed and replaced with new rules 500-510 of the Texas Rules of Civil Procedure. The new rules will divide justice court civil cases into four distinct categories (1) small claims cases (rules 500-507); (2) debt claim cases (rules 500-507 and 508); (3) repair and remedy cases (rules 500-507 and 509); and (4) eviction cases (rules 500-507 and 510). The general rules governing all cases will be found in rules 500-507. These rules will apply to all small claims cases, and any other case not covered by rules 508, 509, and 510 which may be filed in a justice court. Small claims cases will continue to apply to any disputes over monetary sums of $10,000.00 or less. In computing the $10,000.00 amount, attorney’s fees incurred will continue to be included, while statutory interest and court costs will not. To the extent the general rules are not in conflict with rules 508, 509, and 510, they will apply to debt claims, repair and remedy claims, and eviction claims. To the extent that rules 508, 509, or 510 conflict with the general rules, the specific rules shall control. Debt claims will be primarily governed by rule 508, and will apply to any lawsuits brought to recover a debt by an assignee of a claim, a debt collector or collection agency, a financial institution, or a person primarily engaged in the business of lending money at interest. These cases will typically involve unpaid credit card claims involving not more than $10,000.00 (as calculated in small claims cases). Repair and remedy cases will be primarily governed by rule 509, and will apply to lawsuits filed by a residential tenant under Subchapter b of Chapter 92 of the Texas Property Code to enforce a landlord’s duty to repair or emery a condition which materially affects the physical health and safety of an ordinary tenant. An associated monetary claim will not be allowed to exceed $10,000.00 (as calculated in small claims cases). Eviction cases will be primarily governed by rule 510, and will apply to any lawsuits brought to recover possession of real property under Chapter 24 of the Texas Property Code. If not more than $10,000.00 in unpaid rentals (as calculated in small claims cases) is sought, then a rent claim may be joined in the eviction suit. All other rules of civil procedure and rules of evidence not included in rules 500-510 will typically not apply in justice courts. The judge will continue to be able to develop the facts of the case, including questioning witnesses or parties and summoning witnesses to appear. pretrial discovery may be allowed so long as the judge considers it reasonable and necessary, and only after written court approval is obtained. For all cases filed in justice court on or after August 31, 2013, the new rules will apply. For cases which were filed prior to August 31, 2013, and not concluded by that date, the Supreme Court has authorized the justice courts to continue using the old rules where the use of the new rules would not be feasible or would work injustice. Hopefully, the transaction will be smooth, and practice in the justice courts will continue to be affordable and efficient way to resolve smaller disputes.